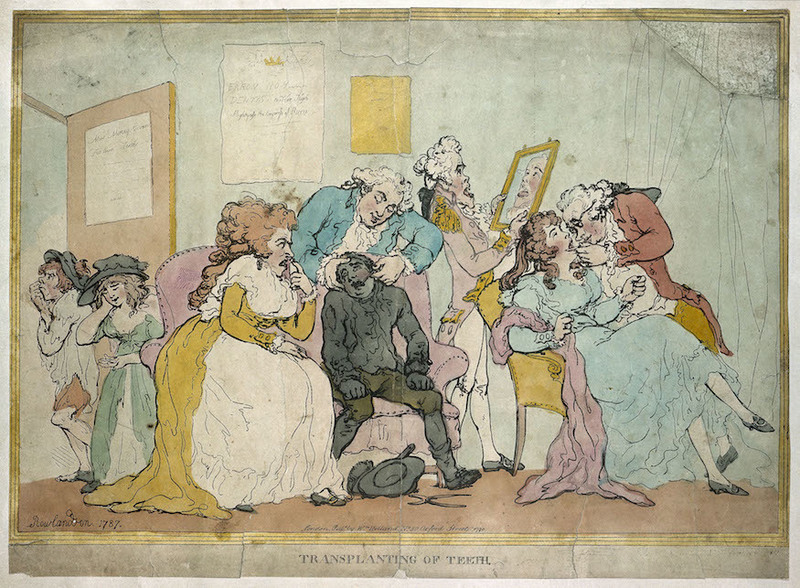 Healthy teeth are extracted from poor children to go into the mouths of the rich in this cartoon by Thomas Rowlandson. Courtesy Wellcome Collection. Ever dreaded a visit to the dentist or had that nightmare when all your teeth fall out? Then you may want to think twice about visiting the new exhibition at Wellcome Collection, as it's all about teeth. If you do brave it, you're in for a dental delight of an exhibition that charts the history of dental health from the first dentists, known — accurately — as tooth pullers, to modern dental hygiene practices. 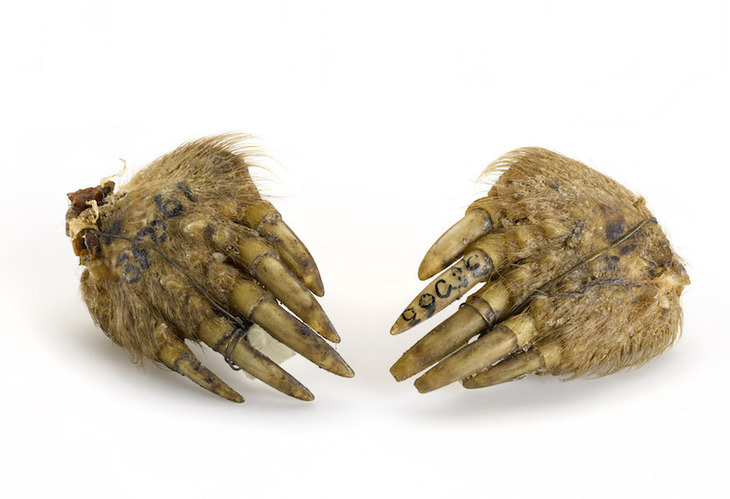 Mole's foot amulets were said to prevent toothache. Courtesy Science Museum. Imagine a time when the only remedies for toothache were to rely on an amulet made from a mole's foot as prevention, or have the offending tooth forcibly removed without anaesthetic. Sounds far more unpleasant than our last visit to the dentist, and we're now vowing never to complain about the dentist's drill in future. As we'd expect from Wellcome Collection, there are some astounding objects on display, from dentures made from walrus ivory to a bloody etching of St. Apollonia — she was tortured by having her teeth shattered and the broken remnants ripped out of her mouth, all for refusing to renounce her faith. 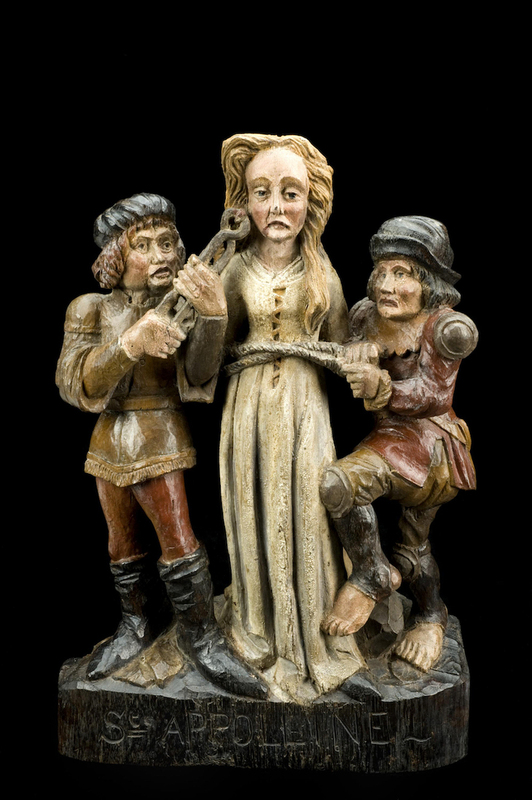 A wooden figure of St Apollonia whose teeth were shattered and then extracted as torture. Courtesy Science Museum. There's a great picture of a woman stealing teeth from a hanged man, as they could be sold to create new dentures. Thomas Rowlandson's cartoon shows teeth being extracted from poor children to be transplanted into the mouths of the rich — it's political commentary that we would argue is still relevant today. Celebrity memorabilia includes Napoleon's toothbrush and a copy of George Washington's lower denture. 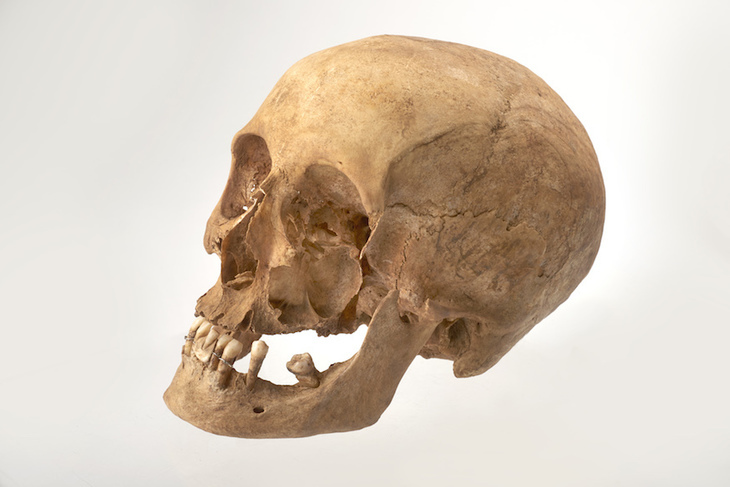 A woman's skull containing a dental bridge. Courtesy Museum of London. Advertising gets its own section here too. We love the quirky squirrel brushing its teeth and the Chinese toothpaste advert showing a tooth crumbling into the ruins of the Coliseum — Aquafresh really needs to up its game. It's not all grisly though. Sweeter exhibits include a set of letters from children to the tooth fairy. Our favourite is from a little girl who has misplaced her tooth and stresses that the fairy doesn't have to pay her, though she would be grateful if she did receive some cash — it deserves a collective 'aaah'. 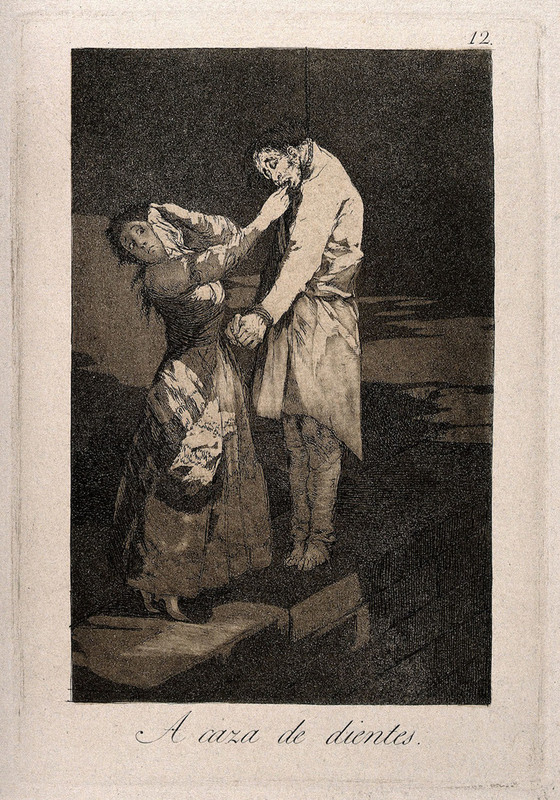 A woman covers her eyes as she steals teeth from a hanged man. Courtesy Wellcome Collection. Wellcome Collection has delivered yet another fantastic free exhibition, though make sure you brush your teeth and floss before you pay it a visit. Teeth at Wellcome Collection until 16 September 2018, entrance is free. Also still on at Wellcome Collection is another free exhibition Somewhere in Between (until 27 August 2018).